DLD Conference is a Hubert Burda Media owned platform, originally based in Munich. It connects global thinkers, CEOs, futurists, entrepreneurs, investors, scientists, opinion makers and creative talents. 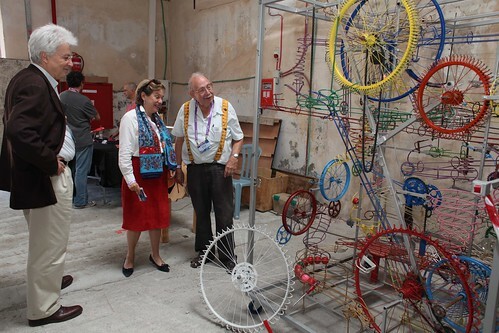 In January 2014 DLD celebrates its 10th anniversary. Co-Chairman Yossi Vardi brought DLD to Tel Aviv where it attracts a highly energetic and fruitful crowd of people that discuss the digital future. This October, DLD co-Founder Steffi Czerny and co-Chair Yossi Vardi hosted Israel’s largest Hi-tech gathering for the third time, featuring 1500 participants and 100 speaker. 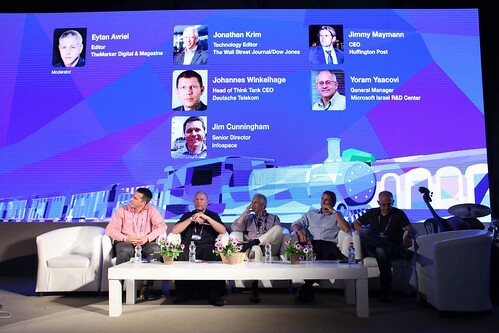 The Conference took place at the charming Ha Tachana Station in Tel Aviv and featured hundreds of startups, VCs, angel investors and leading multinationals. Tel Aviv is the ideal venue for this event, it has the highest venture capital investment per capita and is the home of top technological talent and industry leaders. Since the beginning of DLD in Tel Aviv, the Internet Business Cluster and Burda Digital have been choosing one outstanding student to take part at the event and bring the bustling spirit back to Munich. In his book "Startup Nation“ the American author Dan Senor describes Israel as "The most innovative country in the world“. DLD Tel Aviv gave proof to that. As part of the cooperation between IBC and DLD / Burda Digital, I was given the opportunity to take part in this year’s DLD Conference in the near eastern startup capital Tel Aviv. On the first evening, the "Chairmen’s Cocktail“ took place at the Peres Center for Peace. This was a great opportunity not only to get in touch with the more than 100 German participants but with a variety of entrepreneurs and financiers from all over the world. 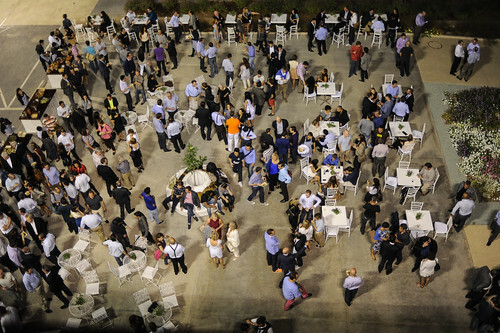 Almost 1500 people participated in DLD Tel Aviv 13. Networking was going on until late night. The conference itself took place in a nicely renovated former railway station close to the beach and the beautiful Old Town of Jaffa. Famous innovators, business angels and politicians shared their experience during the interesting panel discussions that took place throughout the day. A big topic were the reasons for Israel’s success as “Startup Nation”. Besides that, the DLD partner companies organized smaller pitching-events to get to know potential business partners. There was a lot of pitching, networking and deal-making going on throughout the conference. During the three-day event I got a lot of helpful input from experienced entrepreneurs that will make my future business become a success. Dan Senor is right with his statement. Tel Aviv is definitely one of the most interesting startup-cities in the world. The Israeli startup-spirit is phenomenal! Save the date for DLD14: 19-21 January 2014 and apply for your ticket here.